Is a Touchscreen Computer Worth It To Buy? Should You Buy a Touchscreen Based PC for Windows? Windows 8 was the first major redesign of the operating system since the Windows operating system first came out. In some sense, the name Windows doesn't really apply anymore as the modern UI now focuses on single applications instead of multiple ones. Sure, it is still possible to view two programs at once in a split-screen mode and older programs still launch into the desktop mode which looks like the previous Windows 7. So, why the major changes? Tablets such as the Apple iPad were a major threat to general computing, so Microsoft rebuilt their operating system with a focus on being functional in this new computing form. This has since changed with Windows 10 as this operating system can switch between the older Start Menu style and a Tablet Mode. As part of this, the touchscreen interface is now a major factor in navigating the user interface. Sure, the same tasks can be done through a mouse and keyboard, but some of the fastest and easiest methods still involve touch. So, if you're looking to purchase a new computer, you may wonder whether the touchscreen feature is critical to have on your new laptop or desktop computer. Explore the pros and cons below to help you decide. For many, a laptop is the most obvious area to get a system with a touchscreen and the benefits are quite tangible. Navigating around applications is much easier than trying to use the trackpads that are built into the laptops below the keyboard. In fact, many of the trackpads do support multitouch gestures to make switching between applications easier. But, the support on many of the laptops is too sensitive or just lacking that it is far easier to do these tasks by using a touchscreen. In fact, there is a wide selection of laptop models available from manufacturers that now come with touchscreens. While the benefits of the touchscreen are quite easy to see, many people don't necessarily see the downsides of having one. The most obvious of them though is the frequent need to clean the screen. Touching a screen ends up putting a fair amount of dirt and grime on the display panel. There are advanced materials and coatings that can help to mitigate the problem, but the glossy coatings already show a fair amount of glare and reflections. Smudges will just make the problem even worse, especially if that laptop is used outdoors in bright light or in office environments with their bright overhead lights. Another drawback for the touchscreen is battery life. Touchscreen displays draw additional power at all times to essentially read if there is any input from the screen. While this power draw might seem small, it does use consistent power which will reduce the overall running time of a laptop compared to a similar setup without a touchscreen. This reduction in power will vary from as little as five percent all the way up to twenty percent of overall running time depending on the battery size and the power draw of other components. Be sure to compare estimated running times between touchscreen and non-touchscreen models to get an idea. Many companies aren't always so accurate in their estimates though. Finally, there is cost. Touchscreen versions of a laptop cost more than a non-touchscreen-equipped laptop. This isn't necessarily going to be a huge cost increase, but when more and more people are looking at tablets as an alternative to a laptop, it makes the price gap between the two even larger. Sure, there are some low-cost options but with these you may be sacrificing other features such as CPU performance, memory, storage or battery size in order to get the touchscreen. Desktops fall into two distinct categories. First, you have the traditional desktop tower system that requires an external monitor. For these systems, it is pretty definitive that a touchscreen is not much of a benefit. Why? It all comes down to cost. Laptop displays are typically smaller which makes it much more affordable to convert it to touchscreen without adding a huge cost. Desktops, in general, have much bigger screens, with 24-inch LCDs being the most common right now. Just looking at that monitor size, the average 24-inch touchscreen is atleast a few hundred dollars. In contrast, the typical standard display is just $200 or less. That is roughly double the price, enough to actually purchase a low-cost tablet in addition to the desktop with a standard display. Traditional desktops with their external displays still do have the price markup on them, but the pricing gap tends to be smaller than that for external displays. Of course, this is also dependent upon the size of the display for the all-in-one PC. Smaller 21 to 24-inch models will have small price differences compared to the much larger 27-inch models. This price difference can be mitigated by using optical sensors instead of capacitive touch sensors but they do not offer the same level of accuracy or as attractive designs. 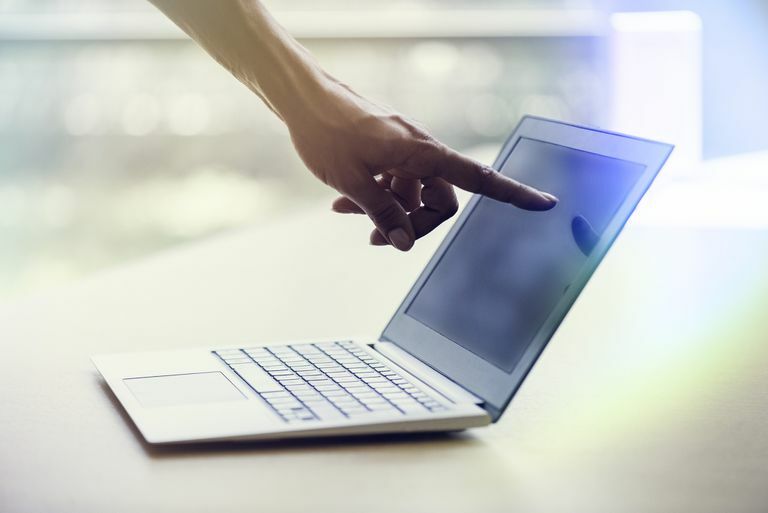 Just like laptops, all-in-one touchscreen systems have similar issues with having to frequently clean the screen of dirt and grime. Most feature glass coating on the displays that are more reflective and therefore show glare and reflections more readily. The fingerprints and swipes will tend to show these more depending upon where the system is positioned and the surrounding light. The problem is not as bad as laptops that are moved frequently, but it is still there. The touchscreen displays of all-in-one PCs are much easier to navigate between programs and perform certain tasks thanks to the multitouch support, but it is not necessarily going to be as critical of a feature thanks to more accurate mice compared to the small trackpads on laptops. If you have been using Windows for some time and are familiar with the shortcut keys, then the touchscreen features will be less useful. This is especially true for switching between applications and copying and pasting data. The one area where the shortcuts won't be as effective is launching programs since it is highly dependent upon the start screen and the charms bar. The decisions you make on Windows systems with touchscreens comes down to which type of computer you are purchasing and how familiar you are with the intricacies of the past Windows operating systems. For laptops, it is generally beneficial to get a touchscreen, but you will sacrifice some running time and you should plan to pay more for it. Desktops are generally not worth the extra cost unless you are looking at getting an all-in-one system and you aren't familiar with the Windows shortcuts. Should You Get an All-In-One Instead of a Laptop or Desktop?